Last year we went back to basics by celebrating the launch of our new decorative exposed bulb range. 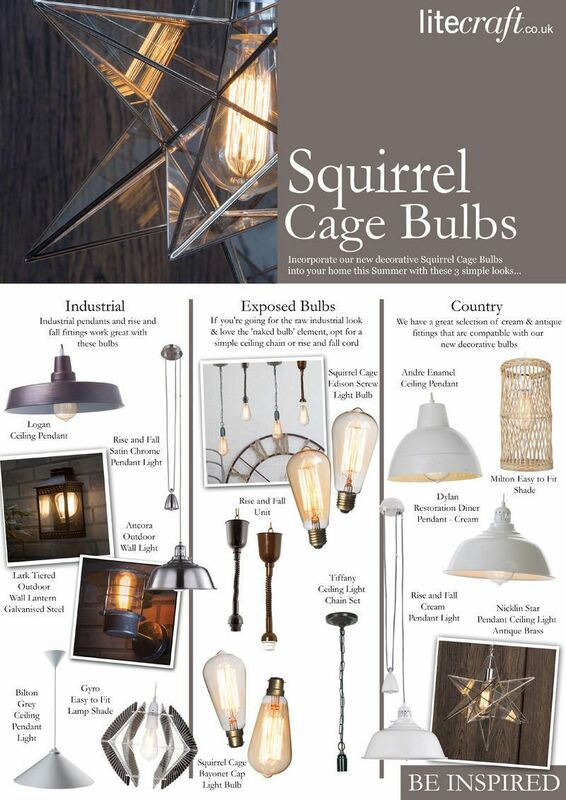 Keeping on trend we created a line of decorative Squirrel Cage Bulbs. 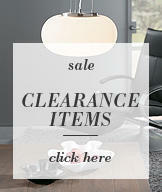 These stunning little gems are in high demand within the home-ware and commercial market at the moment. 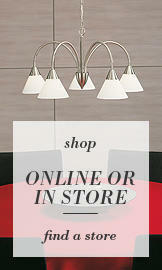 So we worked hard to source the best quality bulbs just for you. Whilst the traditional incandescent bulb is slowly being fazed out and consigned to the past, these new decorative bulb designs are allowing home-owners and commercial retailers the chance to enjoy a piece of nostalgia in their homes and establishments. As promised, this week we announced the arrival of our funky coloured Lighting Cables, ideal for our Squirrel Cage Exposed Bulbs and Vintage Light Bulb Range. Available in 4 colours, this range lets you pick the colour and bulb that you desire. 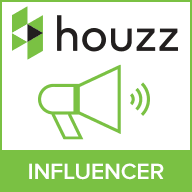 Check out our blog post for more information on this new range. To help you get this years trendy look we’ve incorporated some industrial accessories that will work well with our new decorative braids and filament bulb range. One simple pendant will work great to highlight forgotten areas of the home and accentuate dark nooks and crannies, but clustering a few bulbs together is the ultimate in urban chic, choosing to cluster the exposed bulbs together creates a chandelier effect which becomes a talking point in any room, hang as the main centre piece over kitchen islands or dining tables or hang over the bed for a romantic setting. 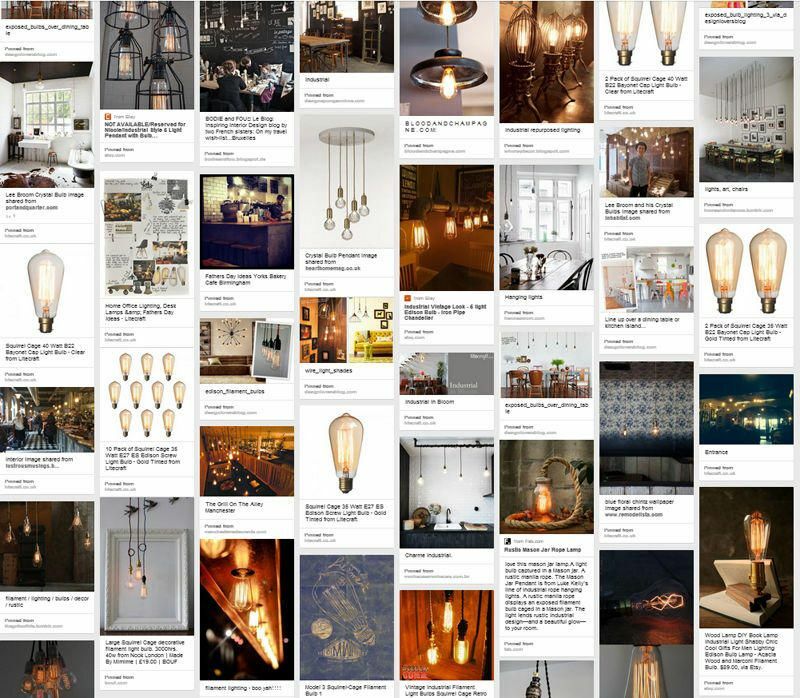 The ‘naked bulb’ look has been embraced by many commercial properties for a few years now, suspended along industrial themed bar areas and clustered together in trendy urban hotel receptions. But we’re now slowly seeing a demand for these unique bulbs for residential use too, with the increase in old properties and derelict factories and mills being converted into trendy urban apartments, the need for more unique lighting and furniture is increasing, so as a manufacturer and retailer of lighting we’re finding ways to accommodate these more adventurous interior themes. 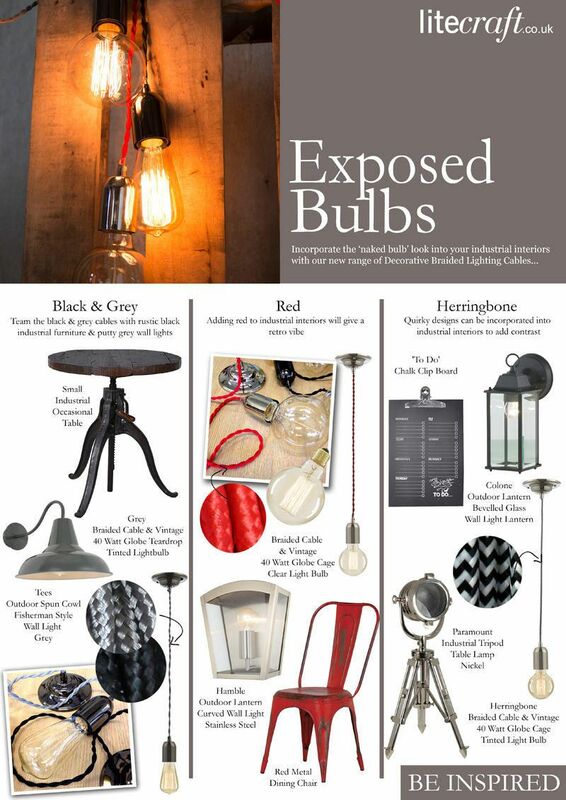 Check out our pinterest board here for more ideas on how to incorporate these exposed decorative bulbs into your home. Our Squirrel Cage decorative bulbs are available in clear for a vibrant glow or gold tinted for a more subtle ambience. Our bulbs are inspired by the original Edison design featuring exposed filament in-cased in a large glass lamp, the fittings are both retro and vintage with an industrial element which means they can be incorporated into most trendy interiors. Please be aware that these bulbs are for decorative purposes only and are not suitable for main home lighting as they only produce a subtle illumination. Our clear Squirrel Cage bulbs are 40 watt whilst the gold tint version are 35 watt and are all suitable for dimming, choose between Bayonet Cap or Edison Screw depending on your cord fitting and buy either singularly, in pairs or as a pack of 10 for larger fittings. We’re loving the fact that something as simple as a bulb is being embraced and taking centre stage in the lighting industry once again, these nostalgic pieces of history are overtaking technical designs and transforming our homes into trendy little havens. One designer that springs to mind when looking at decorative exposed bulb designs is the talented Lee Broom, his crystal bulb design and other decorative glass fittings took the design world by storm a few years back, take a look at our Designer Inspired post here for more information on Broom. There are so many different ways to incorporate this look into your home and we also offer a range of industrial and country style fittings that are compatible with this new decorative bulb if you feel the exposed look is just a little too adventurous for you. If you’re not a fan of the raw exposed bulb look but still a lover of industrial interiors and want to incorporate these retro decorative bulbs into your abode then don’t worry, these little wonders of light can be used in most fittings, industrial pendants and rise and fall fittings work great with these bulbs so if you already have a factory style pendant then great but if you’re after a whole new fitting take a look at these options. Our Logan Ceiling Pendant is a fairly new fitting of ours, boasting a worn copper finish and an industrial factory design it’s the perfect partner for our gold tinted Squirrel Cage bulbs. Our new decorative bulb range isn’t just for indoor use only, as long as the bulbs are in-cased in a sealed waterproof fitting you can take the industrial look outdoors. Our Lark Tiered Outdoor Wall Lantern is the epitome of industrial design, in a galvanised steel finish it wouldn’t look out of place in an old mill setting. It features a tiered design with a plastic cylinder case that houses the bulb. Opt for our clear Squirrel Cage Bulb for a sleeker appearance. Our Ancora Outdoor Wall Light boasts a rustic half lantern brown design with a glass surround giving a great view of the bulb, our gold tinted bulb would be perfect. For a more country cottage style we have a great selection of cream, antique finished and off white fittings that are compatible with our new decorative bulbs. Our Rise and Fall Cream Pendant Light is perfect for that shaker style country home, it features a pulley mechanism making it practical and a great source of ambience. 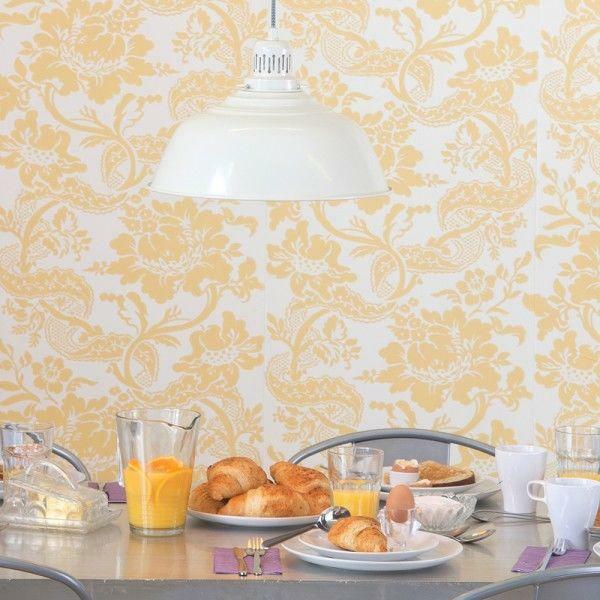 Alternatively our Dylan Restoration Diner Pendant – Cream has a similar look without the pulley element and features a cream enamelled finish. Both fittings will support out clear Squirrel Cage Bulbs. Our Nicklin Star Pendant Ceiling Light – Antique Brass and Polished Chrome are a great fitting to show off our decorative bulb range. Featuring an eye-catching design of glass panels in a striking star lantern shape this fitting is the perfect centrepiece to any room. Choose our gold tinted bulbs for the antique brass version to create a vintage feel.